Home EDUCATION What Kitatta’s Arrest Means to Hundreds of Crime Preventers? What Kitatta’s Arrest Means to Hundreds of Crime Preventers? In 2015 approaching general elections 0f 2016, President Yoweri Kaguta Museveni passed out thousands of youths who were trained and recruited as crime preventers whose major role was to protect the country from the possible chaos insecurity before and after the elections. These were trained and equipped with items that would allow them do their work in peace. 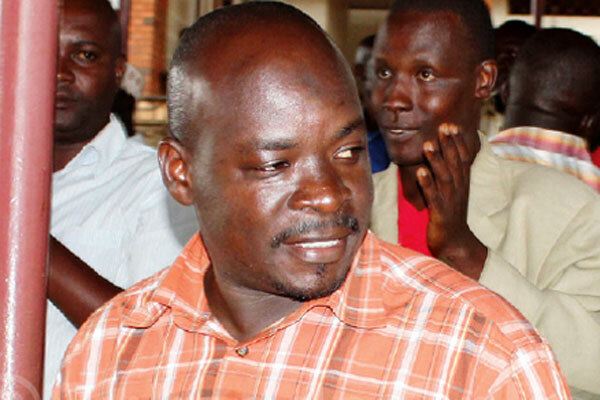 A few days ago Lubaga Division NRM Chairperson and also Chairperson at Bodaboda 2010 Abdallah Kitatta and a group of about 12 members were arrested at their offices following the murder of Case Clinic accountant who was killed and later burned to ashes and it was alleged that Kitatta’s group mates were behind this murder. The police accompanied by the Army raided and arrested Kitatta who was also illegally in possession of firearms, bullets and pangas which are alleged to be used in different attacks to Ugandans in Kampala. Earlier this week Kitatta and other Bodaboda 2010 members were presented to court, charged with over 5 cases most of which amount to death or life imprisonment and sent to Kigo prison until 9th February 2018 when they will appear in court again. Now the question remains unanswered, what does this arrest mean and leave the crime preventers who also possess guns, sticks and unnecessarily arrest people in the night. When you talk to any Bodaboda rider in Kampala, he curses the actions and leaders of Bodaboda 2010 who has mistreated them close to eight years since 2010 so does crime preventers to people who work and move at night. They just arrest with no questions, broke and throw away any Identifications that is presented to them and only focuses on your money. They are typical thieves not crime preventers. They are criminals themselves. While talking to the media, one the crime preventers narrated that they might be the next target to the army and no one will come out to defend them like they have to Kitatta and his members. “We don’t know what to do. My colleagues have gone into hiding fearing that they could be arrested. But we have not committed any wrong to work with police” he said an anonymous crime preventer. Therefore the future and plans of crime preventers, their leaders, and sponsors remains unclear after terrible shaking of Bodaboda 2010. Next articleMuhoozi: Kitatta Was a big Threat To The Country’s Security.